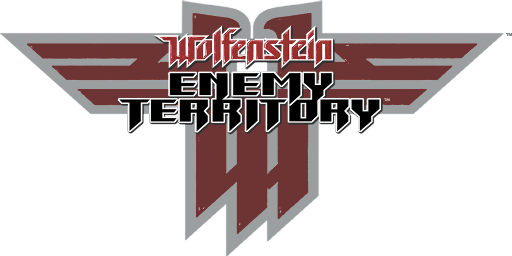 Wolfenstein: Enemy Territory has always rocked as an on-line game. 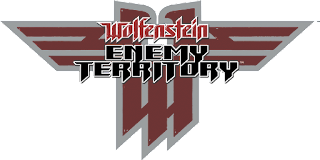 Trying to capitalize on their success with the online part of Return to Castle Wolfenstien, they developed an online component for RtCW and farmed out the single-player mode. Turns out, the SP mode sucked, so they ditched that and gave away the online game. The Game's PAK files remained proprietary (as always) and they released the source code for the game engine. Wolf:ET debuted with a native Linux version that can still be installed, but there have been unofficial game engines that have upped the ante for the game. The original version is available for Linux Mac and Windows from here. Go ahead and download one from there as you will need that to obtain the original game data files, which are copyrighted. A batch installer that simplifies the installation of the SplashDamage game and includes updates, popular mods and unofficial maps. ET:Legacy is an open source project that aims to create a fully compatible client and server. There is an active community. There are native Linux, Mac and Windows game engines available. For testing purposes, I'll be installing the Windows version using Codeweaver's Crossover. The downloads can be found here. A video of gameplay can be found here. ETXreal uses the enhanced XreaL id Tech 3 GPL engine. The homepage is spartan, but informative. It supports many more choices for video resolution, but does not support the 2560x1080 resolution of my LG 29UM-57-P or the 3840x1024 of my triple-multi-monitor configuration. The homepage offers a great deal of information about setting r_ variables manually. While the project seemed to hold much promise, the project sadly seems stalled 5 years ago. On the other hand, it is playable. They include the binaries for all supported operating systems in the single 7zip archive. Unpack the p7zip package to extract the contents of the archive to your home directory. Then it is necessary to find the appropriate binary (it's under /bin in the new etxreal directory you just created) and move it to the game's root directory, the one that contains the /etmain directory. The installer creates a ~/.etxreal directory which is where I prefer to place any custom PK3 files, maps, mods and total conversions. Be aware that ETXreal may not be compatible with all your old mods and you might not be compatible with Wolf:ET or ET-Legacy servers, but with hi-res textures, it sure does look swell and ETXreal has its own servers. There is an active community supporting this game even though development has stalled. You will only need the three *.pk3 files and you can delete all the other files. I suggest that you create an archive of the game data files and save the archive to a safe location so you only need to do the extraction once. Ask me how I know. There's a discussion about textures and the different games in the series at Reddit. As an alternative to the console commands, a custom resolutions, the cg_fov for 16:10 resolutions (i.e. 1440×900, 1680×1050 and 1920×1200) should be 100.39 and for 16:9 (1920×1080) 106.27. Edit etconfig.cfg in the game directory.